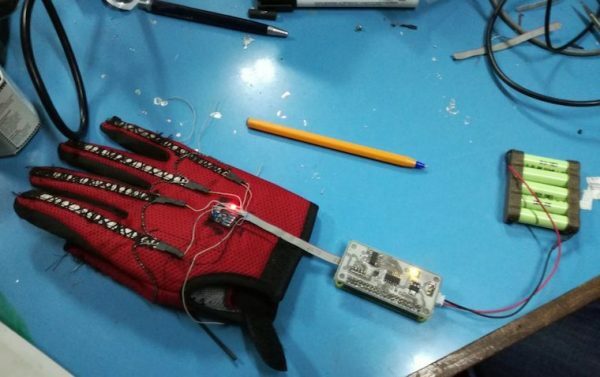 Kenya: Roy Allela invents glove that translates sign language to speech - This Is Africa - Not All News is Bad! Creating a connection with his deaf niece motivated 25-year-old Kenyan innovator Roy Allela to invent a set of smart gloves, named Sign-IO, which converts sign language movements into audio speech in real time. I find this both exciting and fascinating. I think it holds a lot of promise for the future. How could he ‘invent’ something that was done in Washington over two years ago? Is this some kind of hoax? I don’t believe this is a hoax, or I would not have published it. He could indeed have “invented” it, having no prior knowledge that it had already been done. I would love to see a citation on the prior work, but to my mind that doesn’t diminish his efforts at all. I invented a type of Radio Reading Service for the blind which runs 7 days a week for 44 years on the main channel of a college radio station. We began September 2, 1974 and are still going. It had been done before, but back then you needed special radios to access it. Are we the first? No. Did we invent a new and better way of doing it? Probably. Are we happy that others may have been there first? Sure.